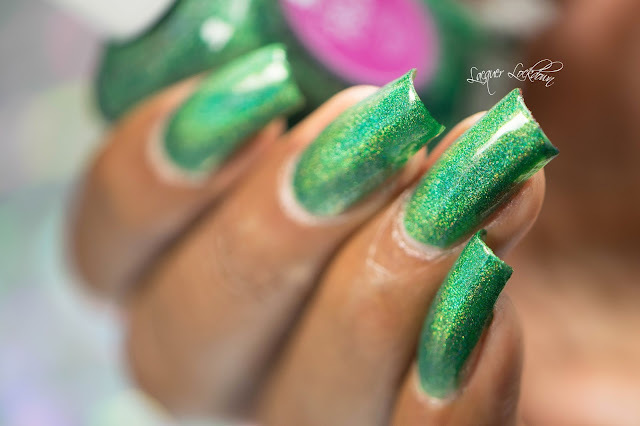 Today I'm super excited to share another awesome collection of nail polishes with you! 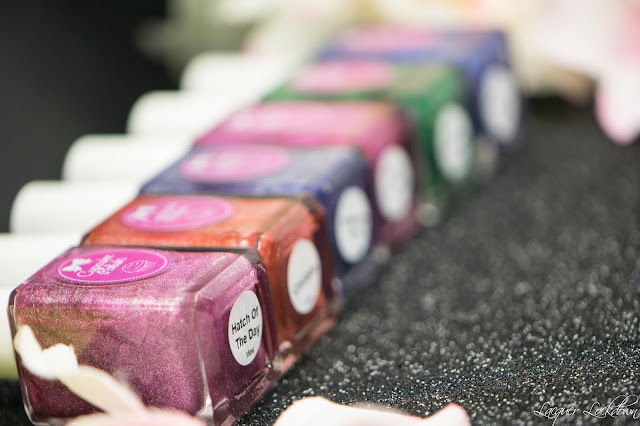 I've been so blessed lately to work with so many talented polish makers with so many delicious and totally gorgeous polishes. 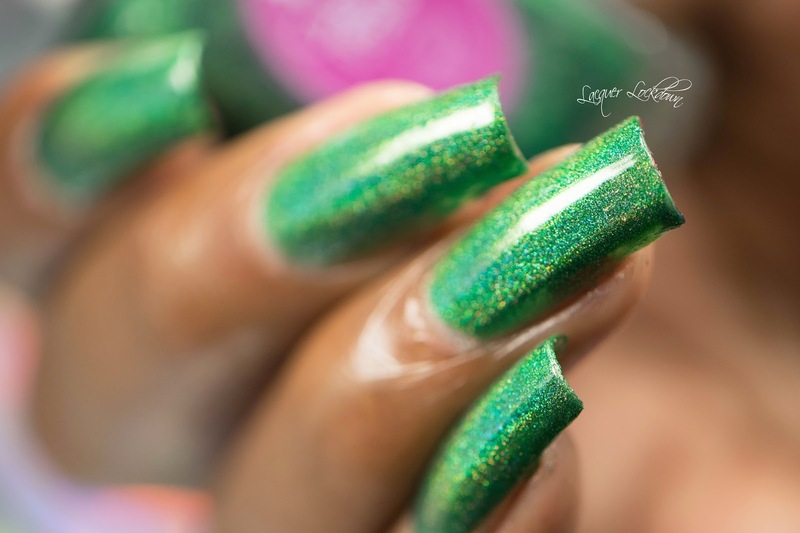 So when Sara of Cupcake Polish told me about her newest collection of linear holos for the spring I was all in. 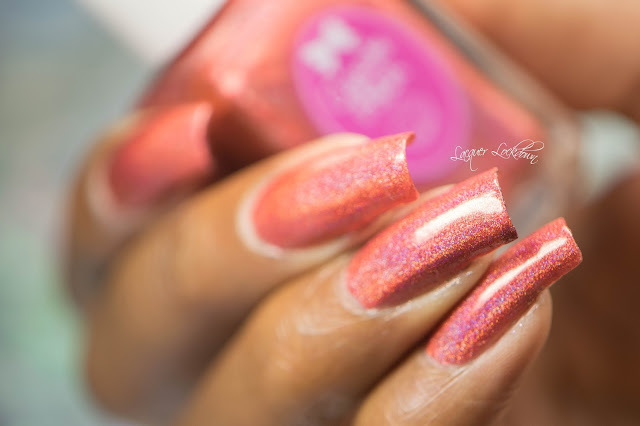 In case you forgot I swatched her last collection The Unicorn Collection and it was spectacular! This collection seriously game me some severe chills as well when I saw them. 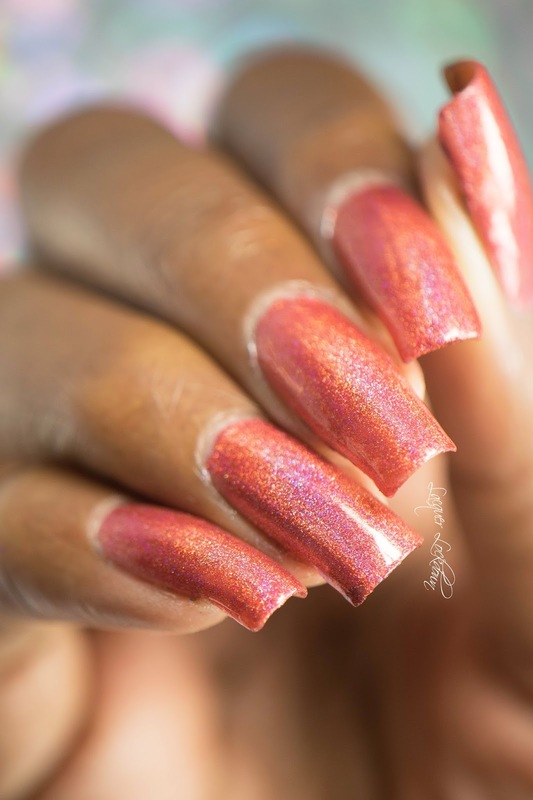 I seriously can't get enough of her beautiful polishes and I guarantee you won't either when you see these. Lets go! 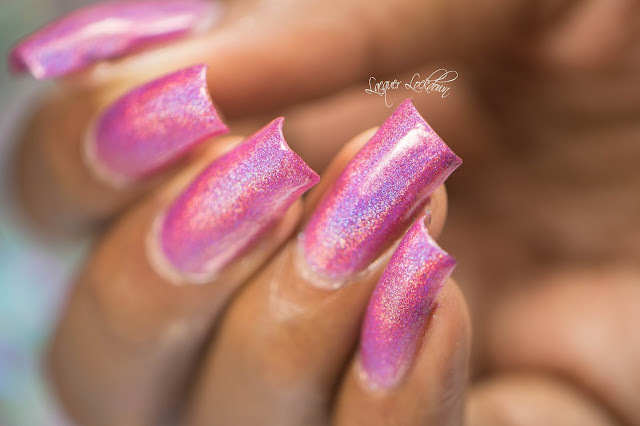 Let me start by saying every single holo in this collection is ridiculously holographic i.e. they are very very strong holos. 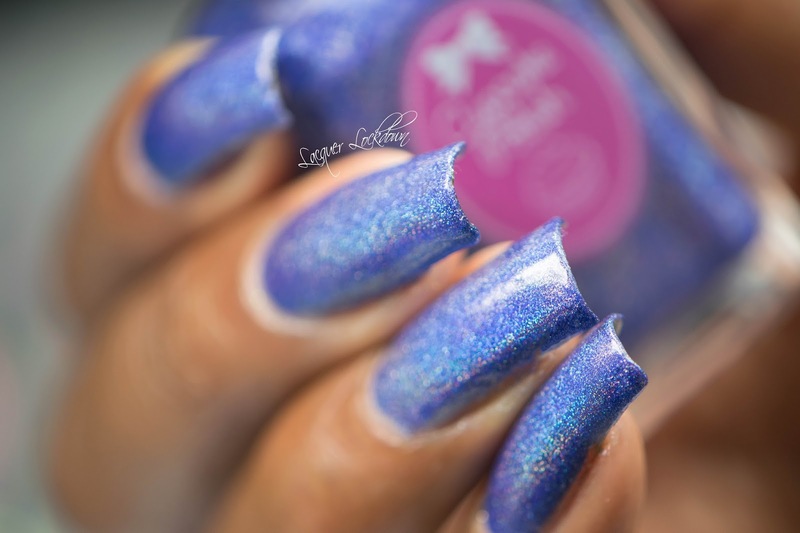 Meta is a blurple linear holo. It's rich and very bold. It was opaque in 2 coats and dried to a high gloss finish that was apparent without topcoat. 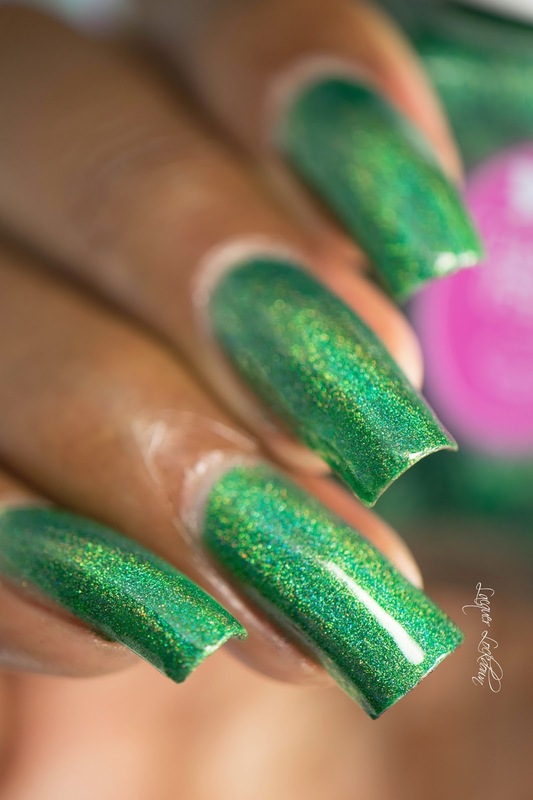 However I did apply 1 layer of topcoat (Sally Hansen Diamond Flash) to all my swatches. 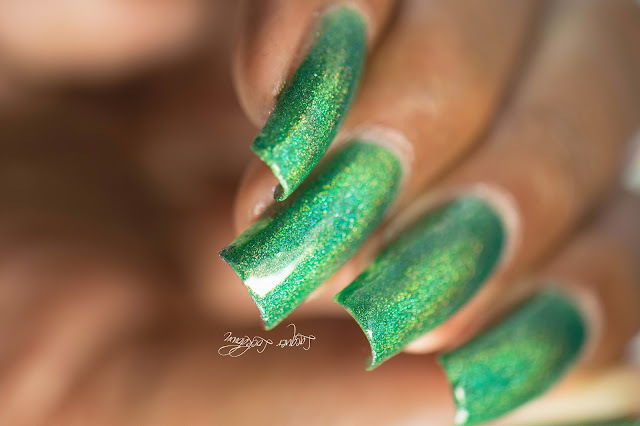 A brilliant emerald green linear holo. I died one thousand deaths when I took this one out of the box. Figuratively 1000 deaths a hologasm beyond belief. 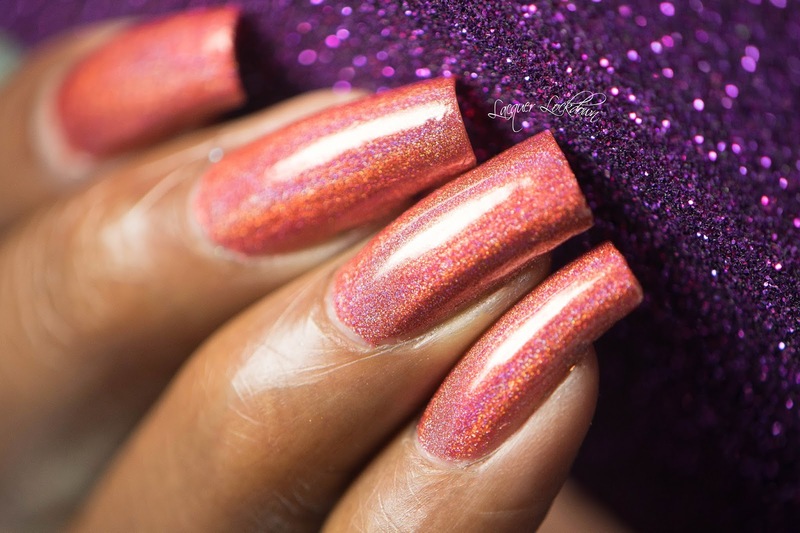 Ok let me dial back my crazy whatever I died many deaths these polishes are so glorious it hurts. For whatever reason this is the only one I forgot to capture against the purple background. 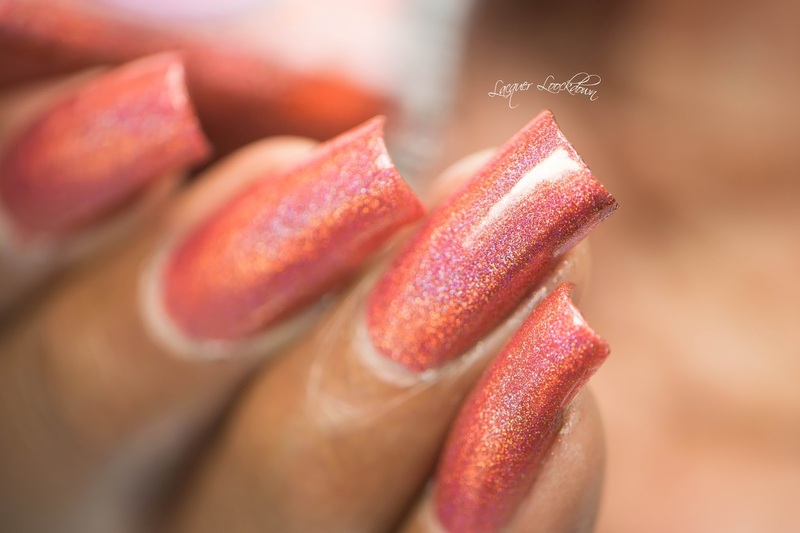 It doesn't matter though I took about 10 million angles of this polish just to show how bloody brilliant it is! 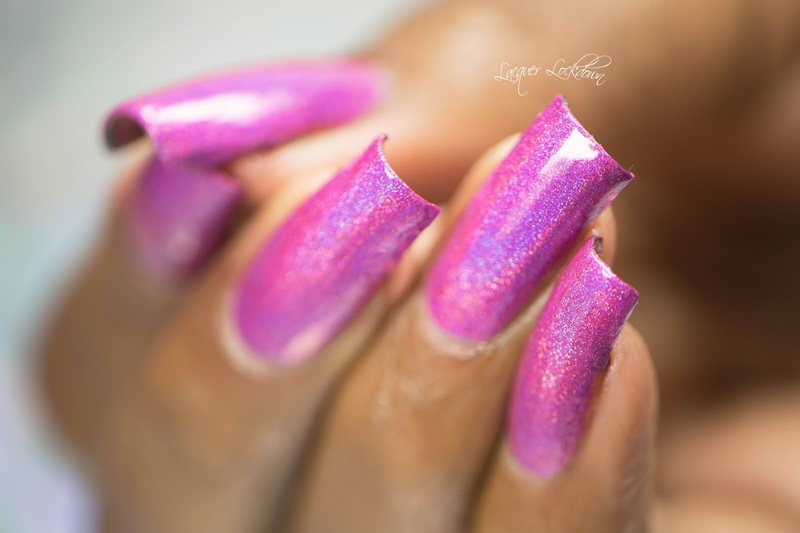 A bright fuchsia linear holo that literally jumps off your nails. 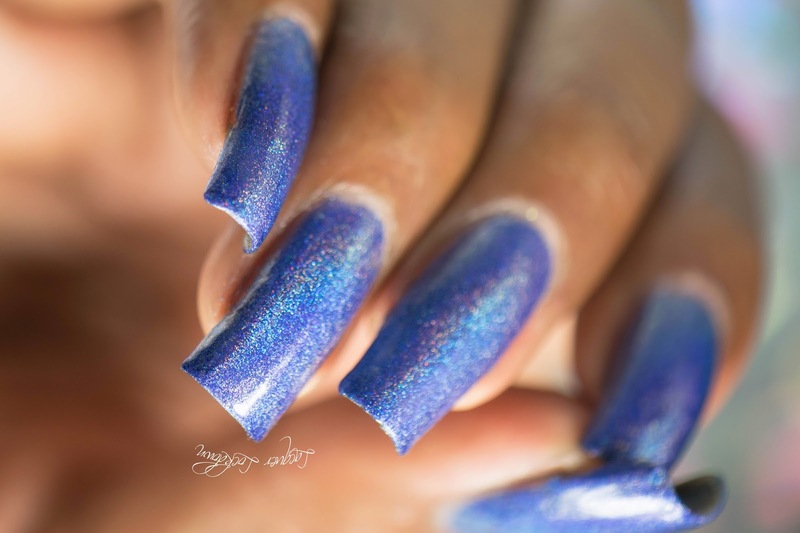 This one was the most 3 dimensional holographic polish I have ever seen! I don't know if it was the color or what but boy was it insane both indoors outdoors in low light in bright light. It just blew me away! 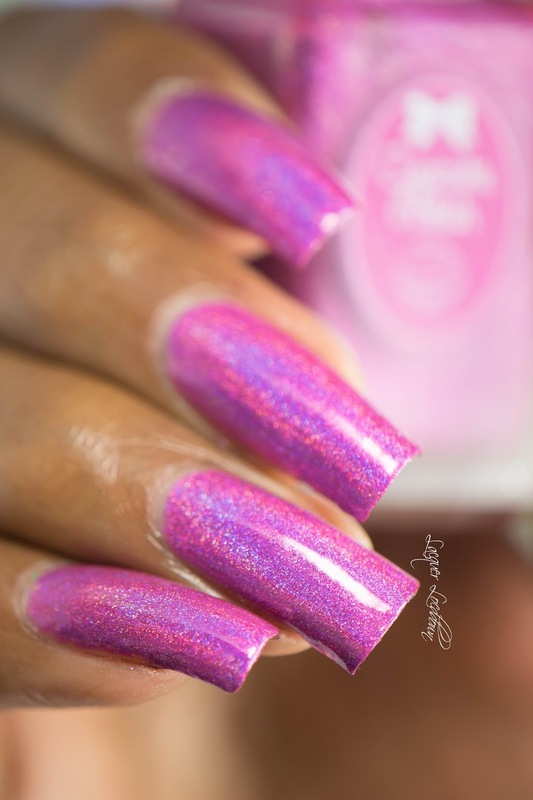 A soft violet linear holo. 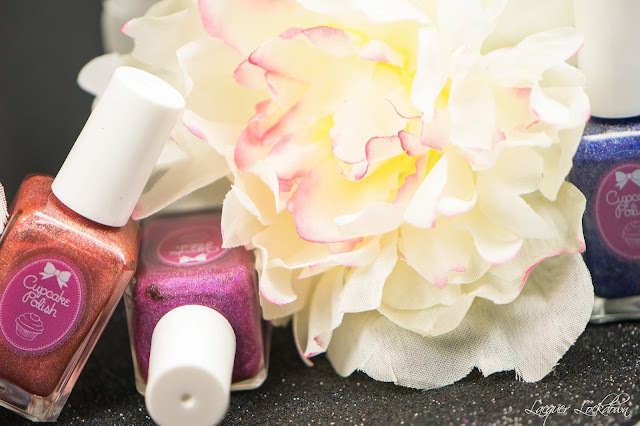 Essentially what you call pretty and absolutely necessary for any kind of springy pretty mani that you are planning on creating (yes this is how I justify my purchases). Lord save me from my holosexual tendencies. No wait don't just let me love them!!!! Ok I'll stop now lol. A medium toned pink linear holographic to round out the collection. Equally spectacular and linear as all the others equally to die for!! !